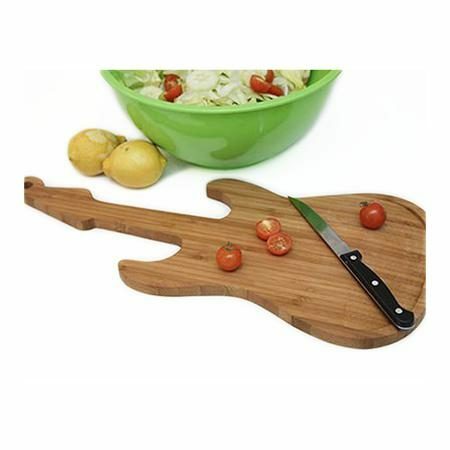 Rockin’ Bamboo Guitar Cutting Board – Chop up those vegetables in style with the Rockin’ Bamboo Guitar Cutting Board! The eco-friendly board is made from all-natural wood and features an angled bottom lip to collect all the extra scraps and juices. It’s also scar resistant, so your board will be looking brand new after every use! This unique piece of cookery is perfect for the guitarist who likes to let out their inner gourmet chef in the kitchen! Hand wash only. W 8.7″ X H 19.3″. Cool Guitar Gifts for Guitar Players!